A world where education and mentorship is available to anyone that is interested in solving local or global issues that affect our health and well-being. KitHub's mission is to design and curate hands-on STEAM and environmental monitoring programs and resources to make it easy for kids and adults to get involved in solving real-world problems and have the agency to understand how the environment affects their health and well-being. KitHub was founded in 2014 by Tara Tiger Brown and Luz Rivas. 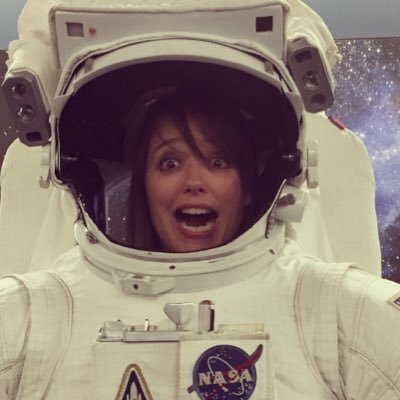 After founding the nonprofit organizations Los Angeles Makerspace and DIY Girls, the founders were asked by parents and educators to package up the project-based learning activities they were teaching in-person so that they could be taught by educators at home or in the classroom. KitHub started out as a subscription box service but pretty quickly transitioned to robust classroom programs that included lesson plans and easy to follow instructions. Tara and Luz founded their nonprofits and KitHub because they believe that anyone can design and build science and technology-based solutions to real-world problems, but may be limited by a lack of access and mentorship. They wanted to design projects that were confidence builders for both adults and kids. KitHub provides STEAM education programs that deliver innovative and accessible science and technology kits for kids to work on at home, in the classroom or anywhere in between. KitHub provides fun and stimulating ways to delve into activities that spark curiosity and promote creating, experimenting and designing so kids can build 21st century literacy and skills. Our reliable and scientific-grade environmental monitoring kits are designed to be used by citizens, researchers, educators, uranium miners, nuclear protection agencies and first responders to collect, analyze and share environmental data. 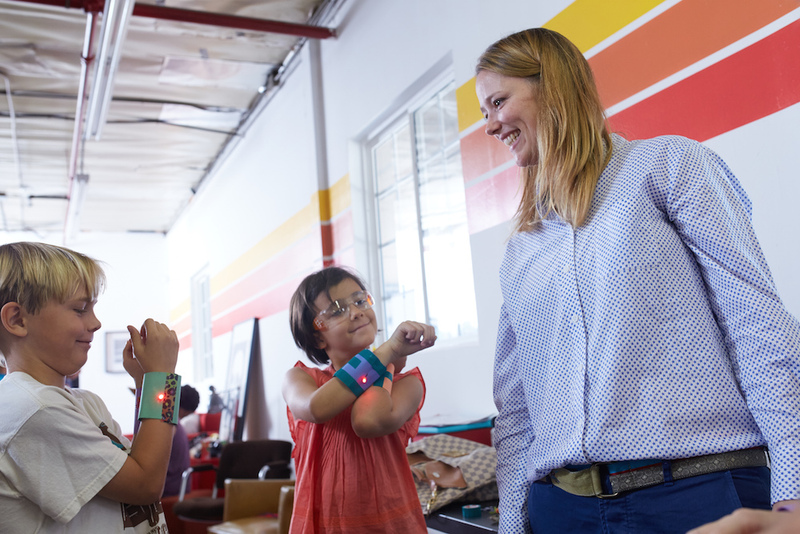 Tara with students who made interactive superhero cuffs. You may have attempted to put together a hard-to-assemble electronics or robotics kit that left you with a bad impression. Maybe you gave up and chucked the parts back into their box never to be seen again. Perhaps you are a parent or educator that really wants to introduce science, technology or coding to your kids but have no idea where to start. I learned a lot about electronics, engineering and coding by designing and making things as part of a community of makers. I quickly realized how fortunate I was to have experienced mentors to help me when I had questions. When Luz Rivas and I started in KitHub in November 2014, we did it knowing that there are people that want a mentor in STEM subjects but don't have anyone that they can turn to. KitHub exists because we want educators, kids, moms, dads, grandmas -- anyone that is curious enough -- to have that same sense of empowerment and autonomy that you develop from being part of a community of makers. We want to help you gain the confidence you need to design a robot, build a device to collect important environmental data, or design your own creative electronics project, and have a lot of fun while doing it. Even with great instructions, everyone needs help from time to time. You can count on us to be patient and understanding when you have a question. Now that you know a little bit about KitHub, why not give our kits a try?